Ultra low mileage A610 for sale with KGF Classic Cars and also on eBay. Amazing that there are two ultra low mileage righthand drive examples remaining. Does anyone know if the red one sold? Re: A600 TEN for sale. 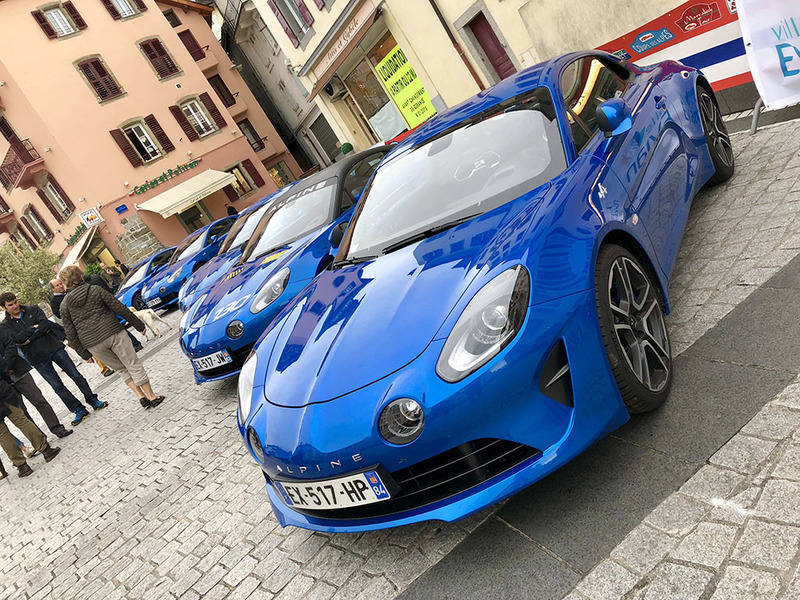 The same Alpine as J600 TEN? This is the ex Mike Vordran car that came from a car collection in Singapore. I know then when Mike purchased this car it needed some recommissioning to make it fully roadworthy again along with changing the speedometer from KMH to MPH. The registration WAS J600 TEN not A600 TEN so maybe either they have got it wrong or its been changed again ... but why? Mike Vorndron sold this for £44000, so dealer looking for £13000 profit for putting it in a showroom. When Mike sold it, it was immaculate and needed nothing!! Now sold according to Facebook! Here’s the pic of the new owner Chris collecting the car from the KGF Facebook page. Hopefully the new owner will drive it and enjoy it and have fun in it rather than just sit in a garage again, there is no fun with a garage queen. If it’s still on it’s original rubber it will definitely need a new set of tyres. I am sure Stephen is in touch, and will be inviting Chris along to 2019 events. I’m in touch with the previous owner who just sold it via KGF but not the new owner yet. Custard wrote: Hopefully the new owner will drive it and enjoy it and have fun in it rather than just sit in a garage again, there is no fun with a garage queen. It takes all sorts and there are plenty of people who like nothing better than to store then away and keep them detailed. It it wasn’t for them these ultra low miles cars wouldn’t exist. A bit like the guys who keep Star wars figures in the packets and Lego sets sealed up unbuilt. Whatever your hobby seems the unused collectors items are always worth the most. This normally doesn’t bother me but I have struggled a bit with the Clio V6 001 which is very low miles and I wanted to use it. I must have added 2000km taking it to mas du clos for the 10th anniversary and Le Mans. I have variously protected the front end with film and masking tape but it still suffered loads of chipping. Fortunately the value is not all in the mileage on this one as it will always be unique unlike a regular car where the uniqueness is all in the mileage. THEY HAVE SPENT THEIR MONEY WISELY. It is not for others to tell them what they should do. As for the comment about the tyres which starts off .... "If it's still on it's original rubber etc " ... clearly a fact not known, why insult the new owners intelligence by TELLING him he needed a new set of tyres. This type of post says more about the poster's attitude towards others, rather than the actual subject under discussion. As you say John and Stephen, each to their own and I agree, if you wanted a useable car then there are other options out there that won't devalue. However, I'm clearly some sort of anti-christ to these people.